Jingxin Zhang received MEng and PhD degrees in Electrical Engineering from Northeastern University, China. 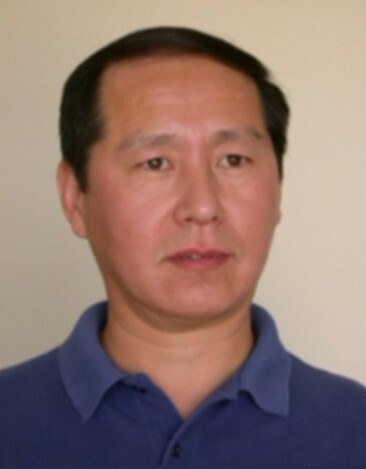 Between 1988 and 1992, he was with Northeastern University, China, as associate professor. Since 1989, he has held research positions in the University of Florence, Italy, the University of Melbourne, and Cooperative Research Centre for Sensor Signal and Information Processing, Australia, and senior lecturer position in the University of South Australia and Deakin University, Australia. He is currently with the Department of Electrical and Computer Systems Engineering, Monash University, Australia. He is the author and coauthor of over 150 research papers in diverse areas such as adaptive and predictive control, time varying systems, robust filtering, multirate signal processing and medical imaging, many of these papers are published in the prestigious international journals such as IEEE Transactions and Automatica. He is the first inventor of a provisional international patent on parallel magnetic resonance image reconstruction. He has led numerous research projects funded by Australian Research Council, Australian Industry and Natural Science Foundation of China. As the principal supervisor, he has supervised to completion numerous PhD and MEng Sci students. He has been a reviewer for many international journals and a regular referee of research grants for Australian Research Council as well as Italian Ministry of Education, University and Scientific Research. He has been a member of international program committee of many international conferences. Currently he is the editorial board member of THE OPEN AUTOMATION AND CONTROL SYSTEMS JOURNAL. He is the recipient of 1989 Fok Ying Tong Educational Foundation (Hong Kong) for the outstanding Young Faculty Members in China and 1992 China National Education Committee Award for the Advancement of Science and Technology. His current research interests are in control and signal processing and their applications to biomedical and industrial systems.